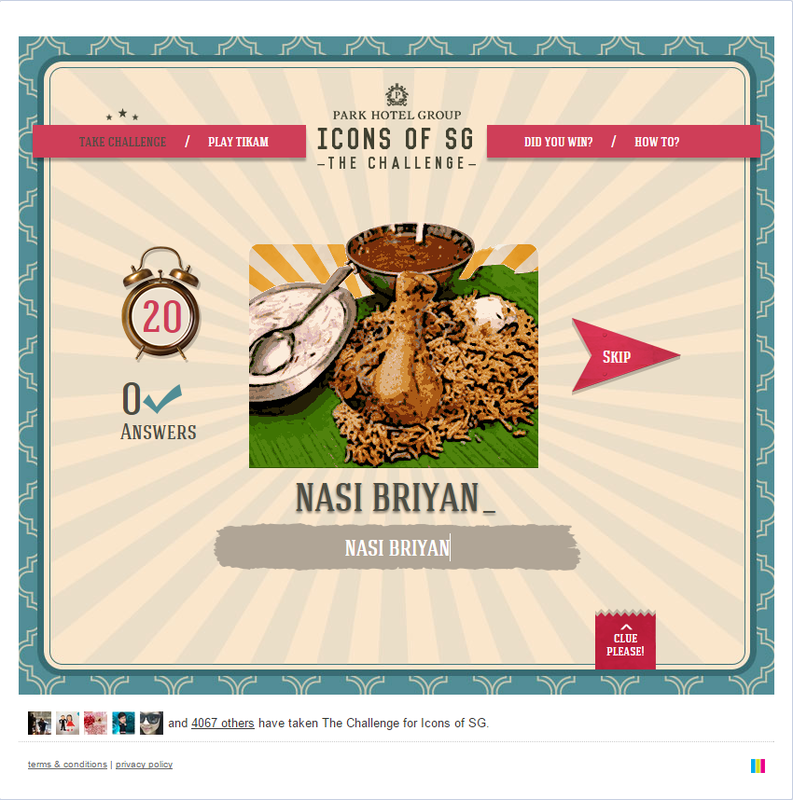 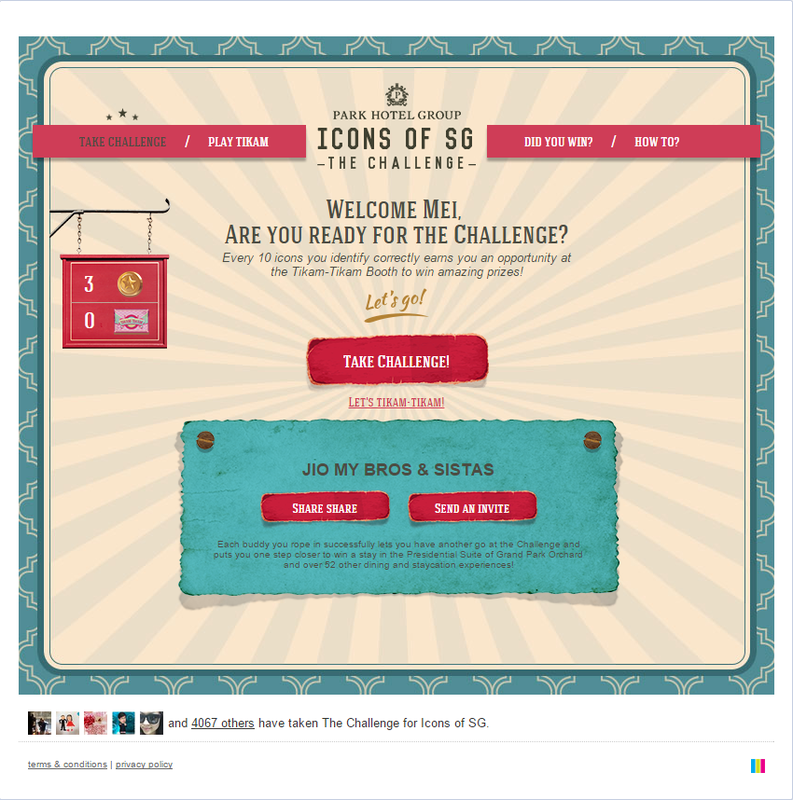 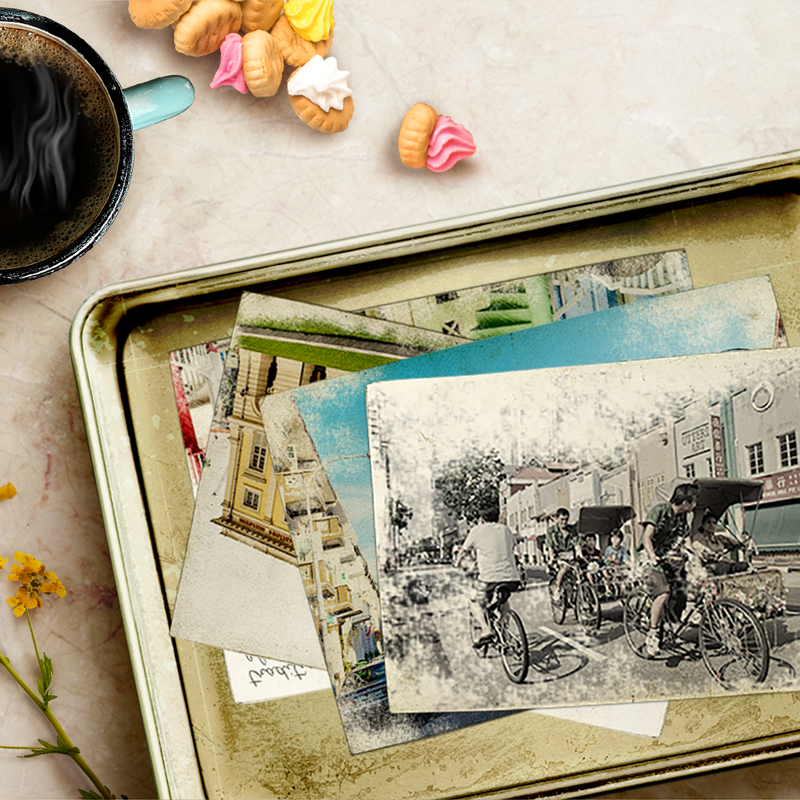 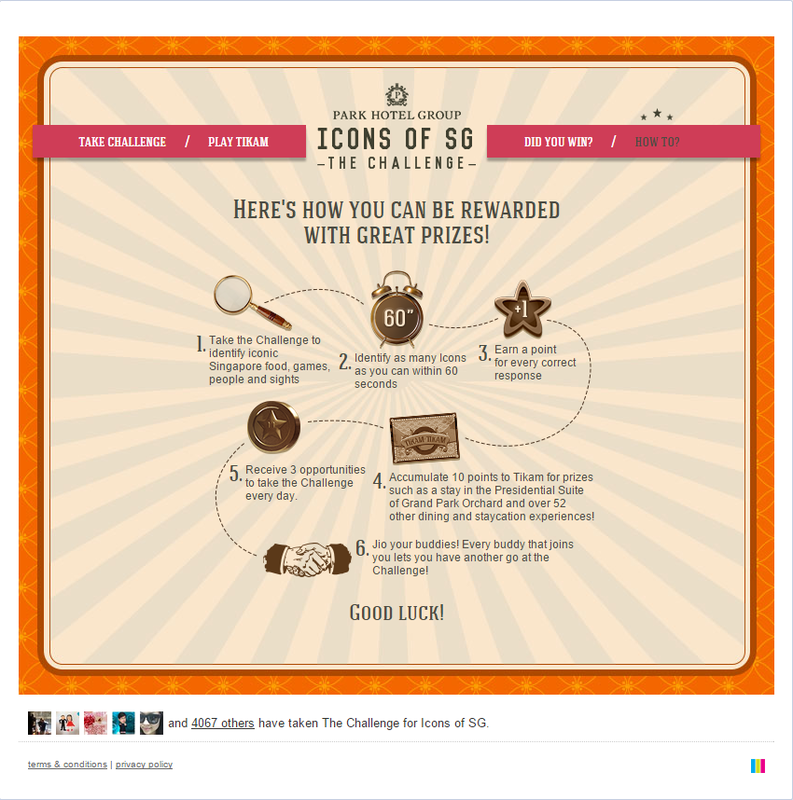 Conceptualised and deployed ‘Icons of SG – The Challenge’. 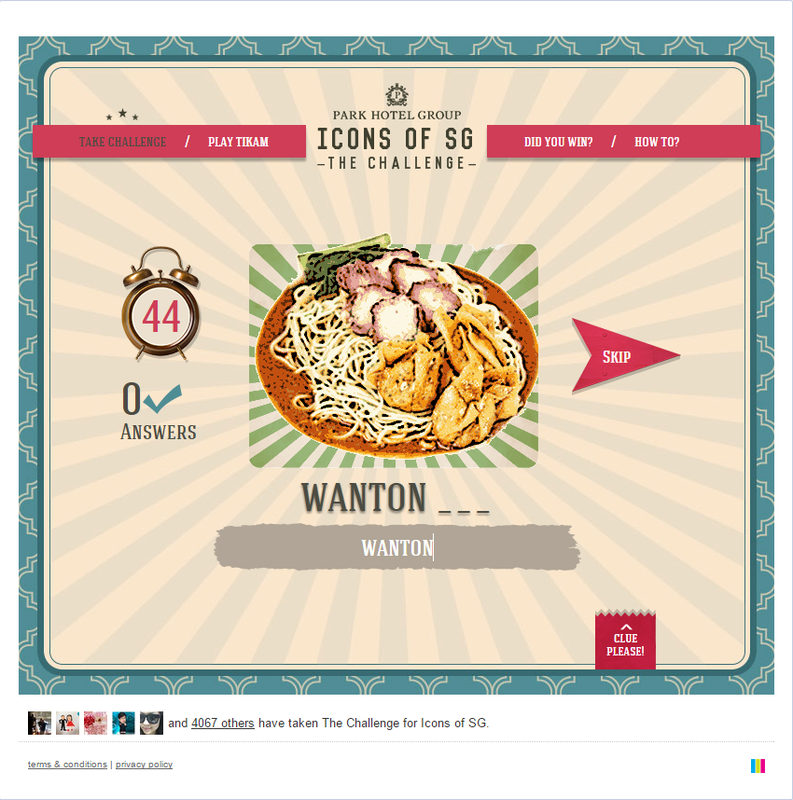 Singaporeans and visitors from abroad are invited to identify iconic local food, places, people and games in the city they live and play in. 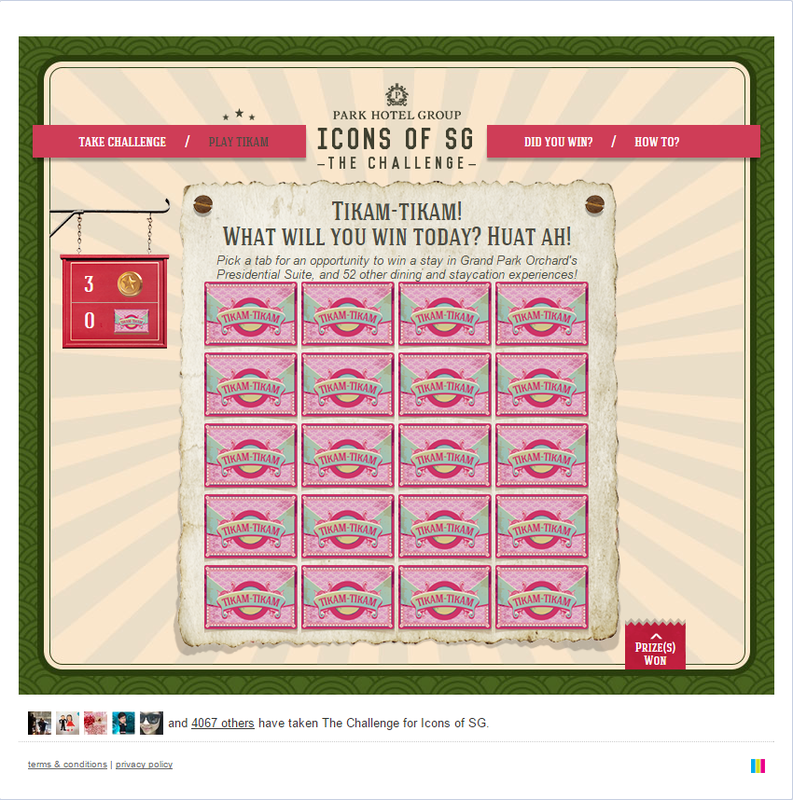 Gold coins earned can be used to play tikam-tikam where winners are rewarded with more than 50 different types of experiences at Park Hotel Group’s 3 properties in Singapore. 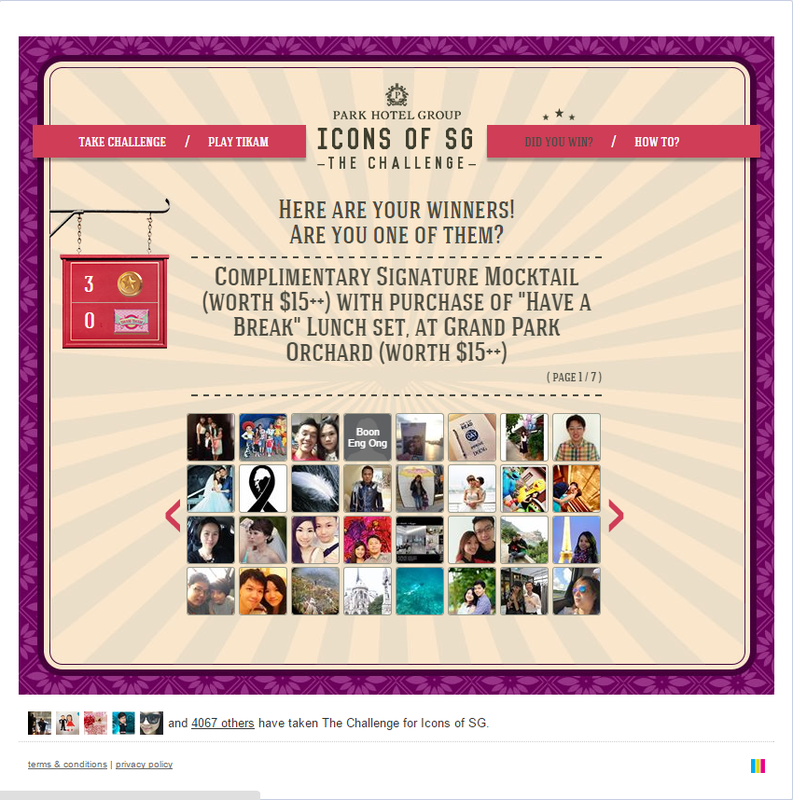 Rewards include Presidential Suite stays, all expenses-paid dining for parties of 8 and complimentary nights.